Fixed focus infrared cameras offer point and shoot technology that are generally in focus on targets at a certain distance and beyond. 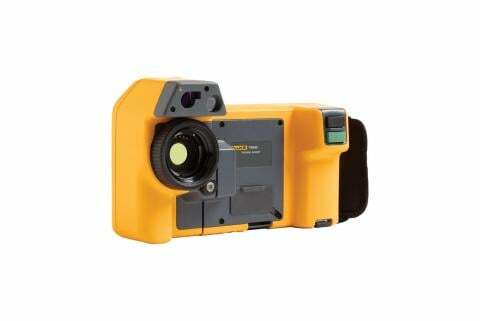 For example, many Fluke fixed focus cameras are in focus from 0.45 m (1.5 ft) and beyond. This type of focus is generally only used on low-resolution cameras, since more precise focus is needed when inspecting highly detailed targets. Performing scans with fixed focus is faster than with manual focus. With a higher resolution camera, the ability to precisely focus the camera becomes critical. Cameras with changeable focus can focus much closer to the target, often from 15 cm (6 in) and beyond, and they can also obtain much sharper images, and more accurate results, from further distances. 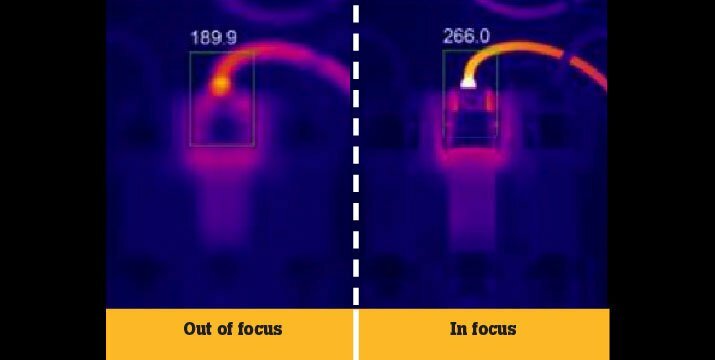 Experienced thermographers typically prefer manual focus because they want to be sure each image is precisely focused. 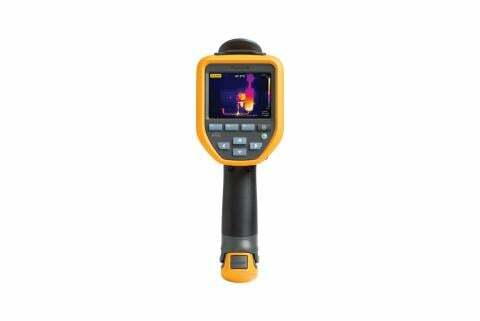 However, getting precise manual focus takes a significant amount of time, especially for novice thermographers. Some manual focus systems have a shorter focus wheel than others. Cameras with a shorter focus wheel are more difficult to focus, because a slight movement of the wheel makes a big focus adjustment. Start with a target in a monochromatic color palette. The human eye typically can focus in black and white (gray scale) or black and yellow (amber) more easily than in full-color scales. Look for a sharp edge in the field of view at the same distance as your target and focus on that first. Hold the camera still while focusing. Auto focus can speed up the focusing process, while still obtaining precise focus. However, there are limitations. 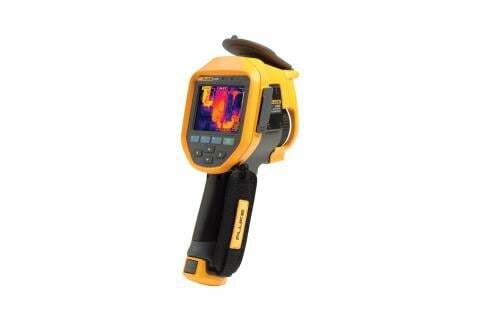 Autofocus doesn’t allow the thermographer to choose which target the camera should focus on. As there are often multiple potential targets in a field of view, the camera may focus on something other than the intended target, so manual adjustment is often still necessary. Laser-assisted auto focus is a system that can deliver a highly accurate in-focus image of the intended target. 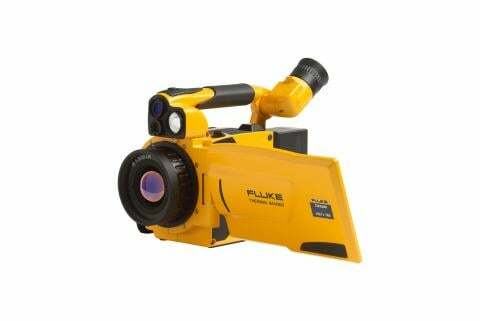 Fluke offers a laser assisted method called LaserSharp® Auto Focus that uses a separate trigger to activate a laser that the user points at the intended target. Then the onboard laser distance meter is used to accurately calculate and display the distance to the target, and the focus engine adjusts the focus to capture precisely focused images. Some cameras include multifocal capture thatcan provide sharp focus edge-to-edge—both near and far—in one image. Called EverSharp on Fluke TiX1000/660/640 cameras, this feature captures and stores multiple images from varying focal distances. When analyzed in SmartView® software, special algorithms combine those images into one image with sharpened depth of field detail.